The London mirror cabinet in a black stained oak finish is a great addition to any contemporary bathroom. The London collection offers classic beauty with clean lines. 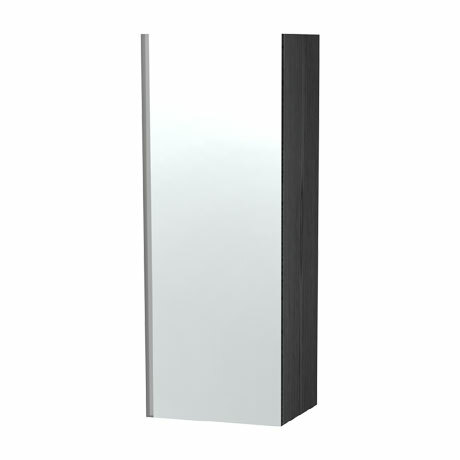 This stylish mirror cabinet features include a soft closing double sided mirror door with a left or right hung option, 1 fixed wood shelf for stability, 2 internal glass shelves and a frosted edge to prevent fingerprints. Fitted with mounting rails and brackets for adjustable and quick installation. The cabinet has been prepared for an LED top light (sold separately).